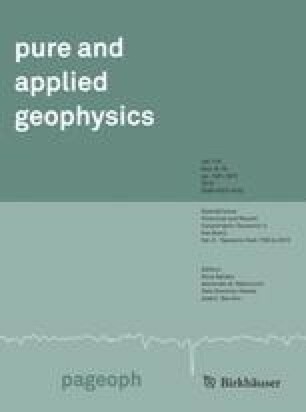 —In this study, the procedure of the earthquake hazard evaluation recently developed by Kijko and Sellevoll (1992) is used to estimate seismic hazard parameters in the northern part of Algeria. The new method differs from the conventional one because it incorporates the uncertainty of earthquake magnitude, and accepts mixed data containing large historical events and recent complete catalogue. The importance of the method lies in its ability to estimate from incomplete and uncertain data files the parameter b of the Gutenberg-Richter relationship, the annual activity rate λ of event and the maximum possible magnitude m max . In this method, the earthquake process is considered to be of the Poisson type with an annual activity rate λ, and with a doubly truncated exponential distribution of earthquake magnitude with parameter β.¶The northern part of Algeria is subdivided into three zones. For each zone, estimation of b-value, the annual activity rate λ and the expected maximum magnitude are obtained. The mean return period and the probability of non-exceedence of some magnitude during a time period T = 50 and 100 years are computed.¶The results obtained in this study using this methodology, give a prior picture of seismic hazard in the northern part of Algeria. In some regions (Mitidja and Chelif basins) these results corroborate not only with the observation, but also with seismotectonic results. Key words: Earthquake hazard, maximum magnitude, activity rate, b-value, earthquake catalogue, magnitude uncertainty, Poisson process. Received September 10, 1996, accepted May 7, 1997.